A Weekend In The Frozen Tundra…Harbin, China. A New Zealand Road Trip: The South Island. December 2014: The Motorcycle Adventures from Nha Trang to Hoi An. A Week in Chiang Mai, Thailand. 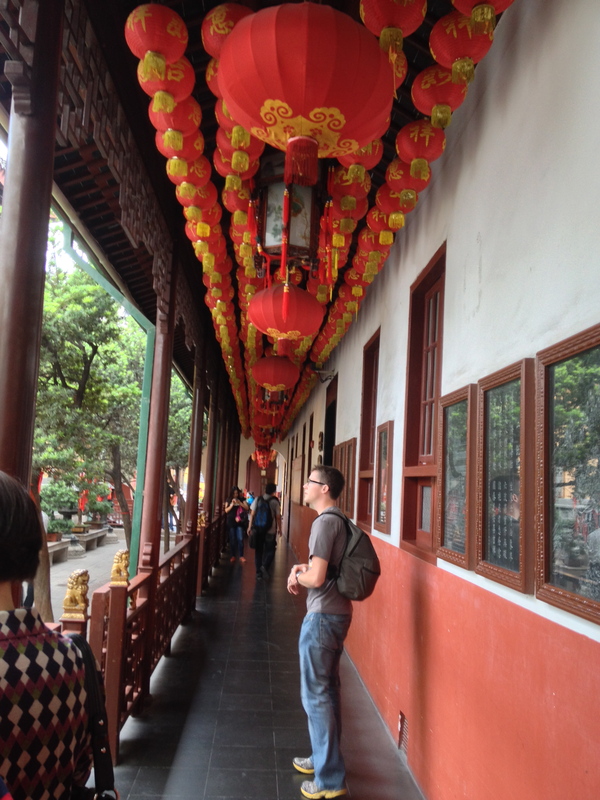 On Thursday of our week holiday, I finally accomplished a goal that I have had since arriving in Shanghai. 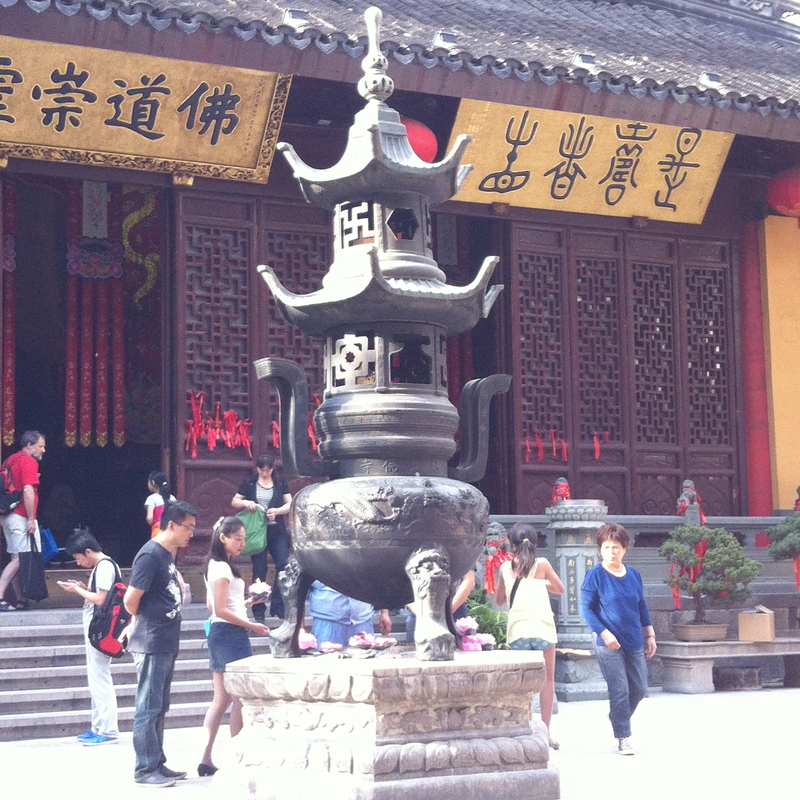 I visited the Jade Buddha Temple. I have been pestering Angela to visit this temple for many, many weeks. In Angela’s defense, we have really been overdoing it as far as temple visits go, but I really love them. 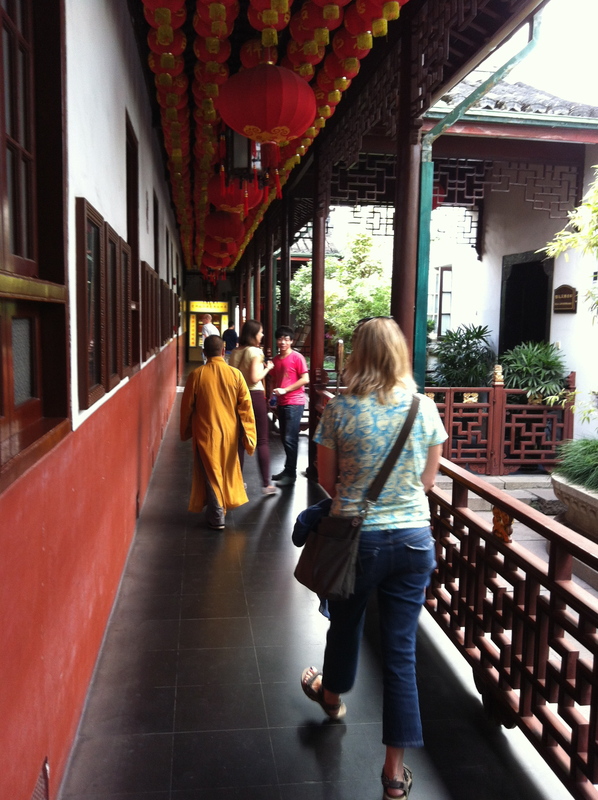 The neat thing about the Jade Buddha temple, besides the Jade Buddha (which we were not allowed to photograph, and Angela actually followed the rules this time. Okay, not really but I could not find the illegal picture that she did take) is how active of a place the temple was. 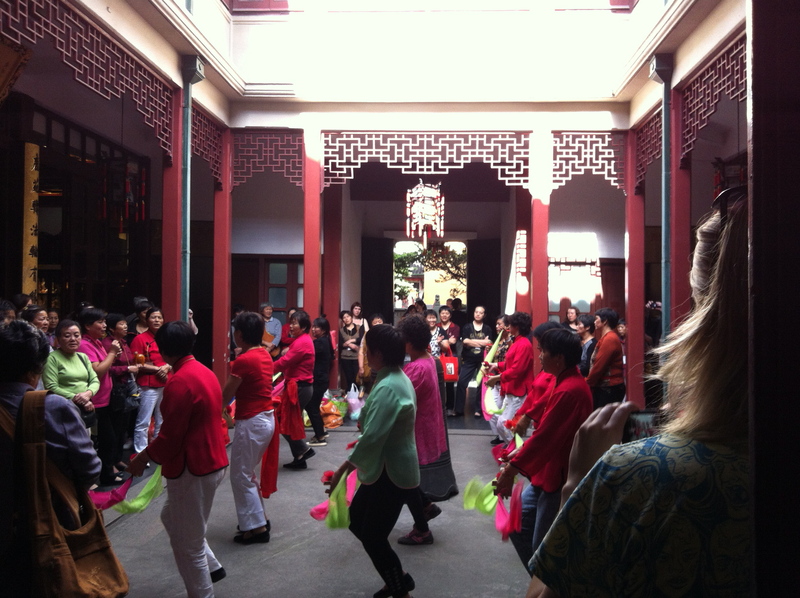 There were several little worship sessions occurring in different parts of the temple, along with a group of women dancing in one of the many small courtyards. 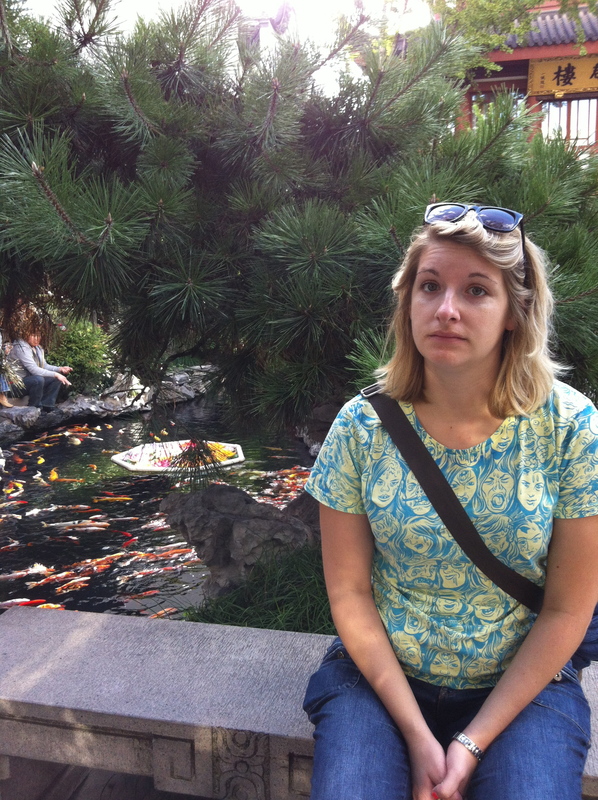 There was a pond with lotus flowers floating on top, and a boatload of fat, overfed fish. You could buy fish food here to feed the fish, but all that you really had to do was stick your fingers near the water and they would all gather around, making really awful sucking noises. If I would have had a fishing pole, I could have cleaned up. The actual Jade Buddha was of course beautiful, and the room it was in was really breathtaking. The ceiling had a few hundred little gold Buddhas perched in little nooks, and the Jade Buddha was larger than I imagined (though still not huge) and lovely. Angela walking down a corridor behind a monk. A group of women dancing to music in the temple. I am guessing it was a sacred song, and different than the exercise dancing that happens in the park by our apartment every day. After a long day of temple exploring, we stopped by the Shanghai Brewery in the French Concession. I had forgotten what good beer tasted like, so this was a nice reminder. 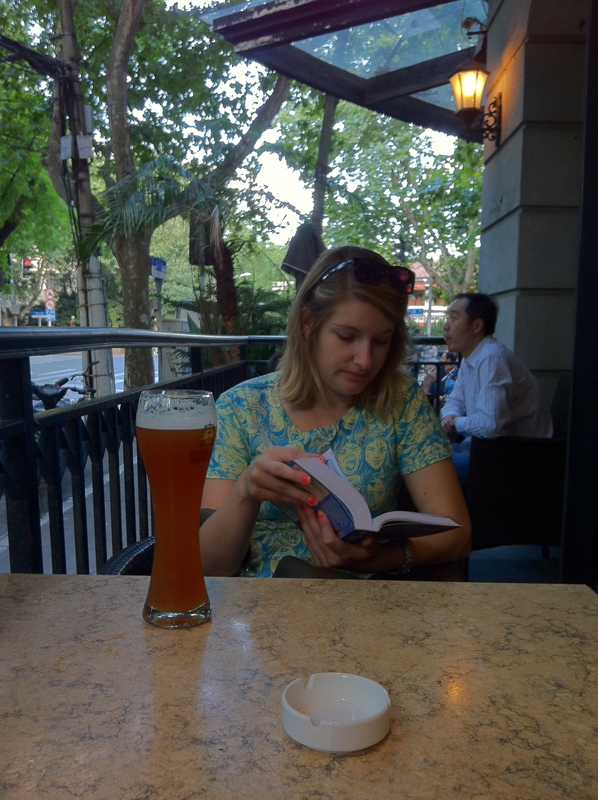 Angela and I spent some time reading our newly acquired ‘Lonely Planet’ books and had a beer. For anybody who is really interested in following our China adventures, I would recommend buying a Lonely Planet book. They are laid out very well, and are a great way to learn about the country. This would be an especially good buy for any of you who are planning on visiting us! Don’t forget, we have lots of spare space, and western style toilets. For dinner, our newly made couch surfing friends wanted to take us out as payment for letting them stay with us. I was a little embarrassed by the nice gesture as I just really enjoyed having them stay with us, but we consented. The four of us decided on eating at a nearby hot pot restaurant that Angela and I had been eyeballing for quite some time. You order a soup, and they bring it out to you with a burner, so that the soup becomes so hot that it boils. 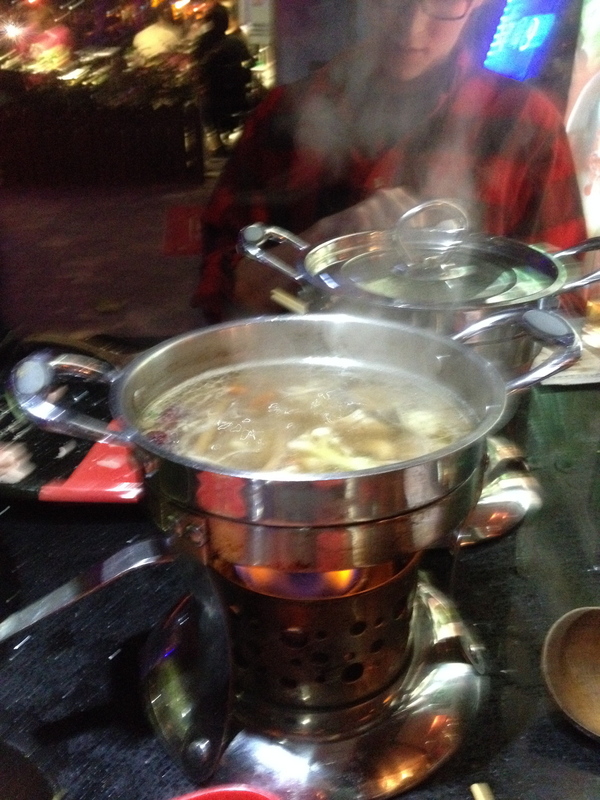 Then you order thin slices of raw meat or vegetables, and cook them yourself, similar to fondu. Don’t worry Grandma Audrey, I cooked my meat very well. Antique market and a night on the town.